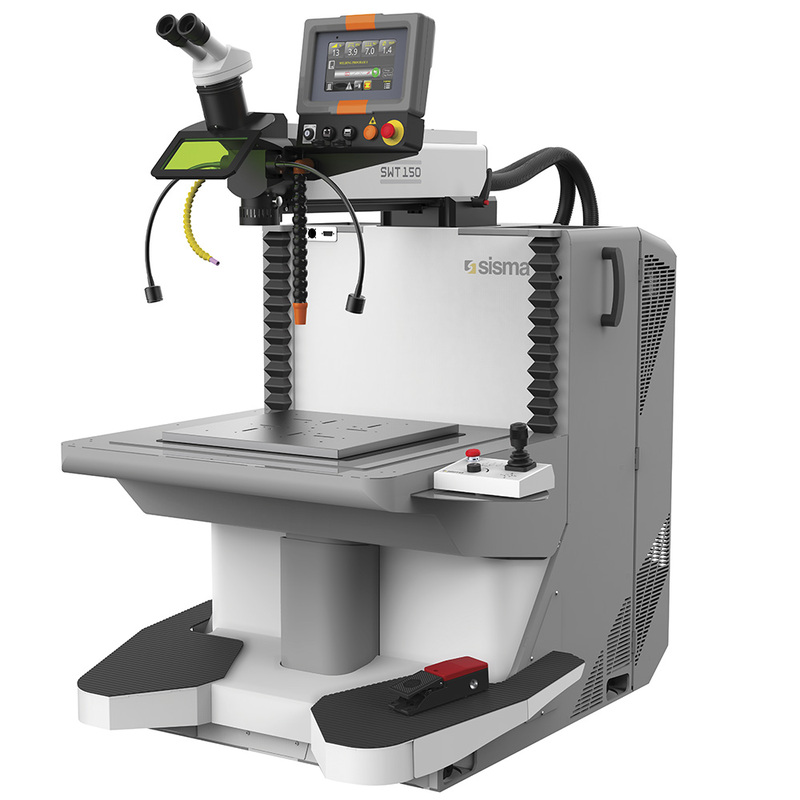 The SWT laser welder is available in 2 configurations: Class 1 (closed) or Class 4 (open). Choose what works best for your shop! The SWT is specifically designed for the maintenance of medium to small sized molds up to 15.75" square (400mm). The robust design and sturdy working platform gives the operator outstanding comfort and minimal vibration. Controlled via joystick, the working platform moves up or down on the Z-axis with a range of 12.5" (320mm). The X and Y-axis movements are 11.75" and 7.75" respectively (300 x 200mm). The ergonomic design of the SWT Class 1 (closed) is ideal for prolonged use. Soft armrests, adjustable doors, and adjustable footboard create a comfortable working environment. The stable working platform, on both Class 1 and Class 4 models, minimizes any vibrations, even at the full load capacity of 264 lbs. (120kg). Control all the welding parameters with the touch of the control screen or via joystick. The SWT features a multitude of programs and settings to help you get the job done quickly and accurately. Program features include Laser Pulse Shaping, Measuring, Overlaps, Line Paths, Fill Paths, Radius Paths, Oblique Paths and more! The memory will store up to 250 welding parameters. Scroll down to watch the in-use video. Made in Italy. Backed by a 1-year manufacturer’s warranty. Installation, training, and service provided by Gesswein Company.